OLYMPIC curler Eve Muirhead got back to the grassroots after her endeavours at the Winter Olympics, in PyeongChang, South Korea. 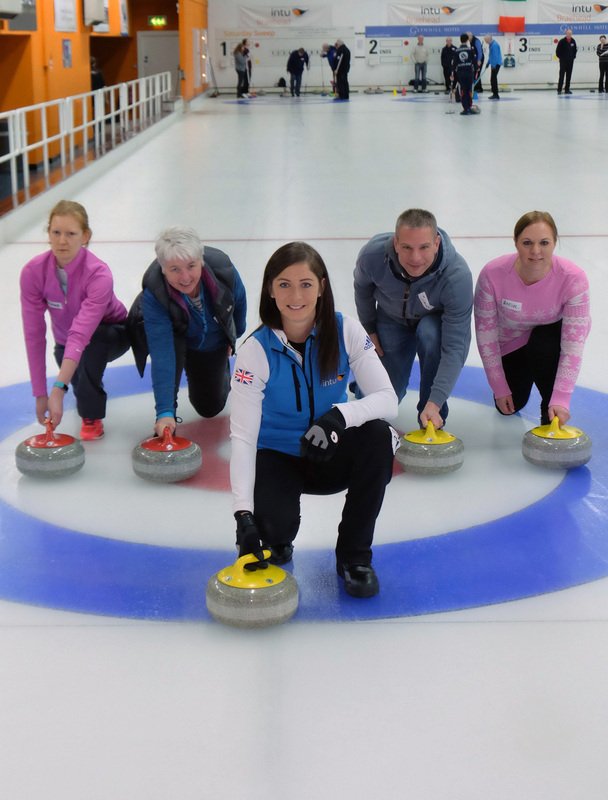 The 27-year-old was at the regular Saturday Curling Sweep at the intu Braehead rink where she is Curling Ambassador. It’s the first time an ice rink in Scotland has engaged a high-profile curler to promote the sport. Eve was helping curlers brush up on their skills by giving free coaching lessons to beginners. One would-be curler, Morag Griffiths even drove the four-hour round trip from Taynuilt, in Argyle and Bute to Glasgow and back for the curling session. “The image of curling has changed a lot since I first started playing as a nine-year-old. “I’m sure a lot of people think curling is for an older generation – but nothing could be further from the truth and nowadays there are a lot of younger people taking up the sport. There are more than 40 clubs and 1000 curlers of all ages and abilities playing on the curling rink at intu Braehead, which hosts starter sessions for the novice, to club competitions, disabled curling, to international tournaments featuring some of the world’s best curlers. Scott Martin, general manager of intu Braehead Leisure says: “We have one of the best curling rinks in the country, which is available for anyone and everyone who wants to try curling. For more information about curling at intu Braehead, email the Curling Development Officer, David Horne at david.horne@intu.co.uk or call 0141 885 4611.